Ten School of Education and Social Policy (SESP) undergraduates will showcase their work at the 2018 Undergraduate Research & Arts Exposition on Wednesday, May 30, an annual forum for original research and creative work. Prizes are awarded for the best poster, oral presentation, and creative arts entry. 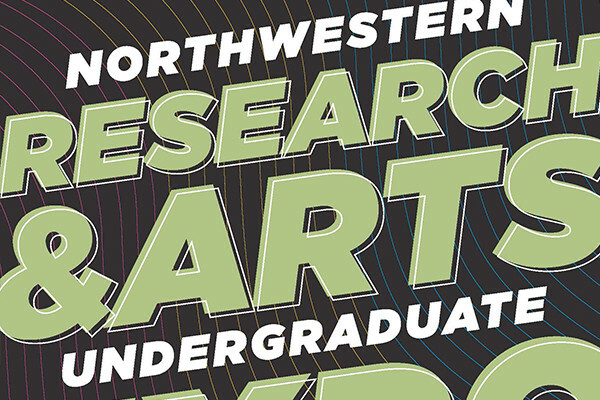 The Expo, sponsored by Northwestern University's Office of Undergraduate Research, is designed to help students communicate their research to a broader audience. All participants attend workshops aimed at helping them develop strong and effective communication skills, especially for an audience not familiar with their work. “The Expo is an amazing showcase of student work and, importantly, teaches communication skills crucial to students’ professional development,” said Northwestern University Provost Jonathan Holloway. The Research Expo is from 10 a.m. until 4 p.m. in Norris University Center, second floor. The Creative Arts Festival will be May 30 at 8 p.m. in Black Box 201 at the Wirtz Center for the Performing Arts. Download the full program (including the abstracts for the projects) for all of the previous years' events on the Expo Program Archive. Read more about Academic Year Undergraduate Research Grant winners at SESP and Summer Undergraduate Research Grant winners.